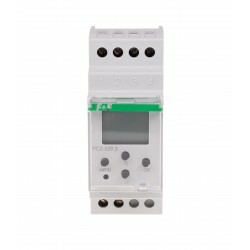 Timer activates and deactivates the device or electrical circuit on the programmed hours in cycles: daily, weekly, working days (Mon-Fri) or weekend (Sat, Sun). 250 pairs of ON-OFF COMMANDS. PREVIEW OF THE CURRENT PROGRAM – pressing the +/- keys in the date preview mode displays information about the number and details of the current program. 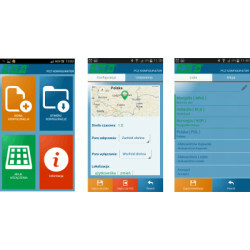 „PCZ KONFIGURATOR” APP - free application for Android mobile phones and tablets equipped with the NFC module for wireless communication. CLOCK TIME CORRECTION – set monthly adjustment of the system clock. BATTERY INDICATOR - the controller comes with built-in control system of the backup timer battery used in the case of main power supply failure. 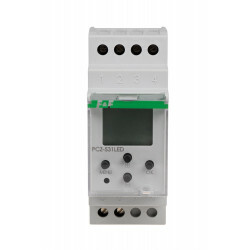 If the battery is low, user will receive information that the battery needs to be replaced. LCD BRIGHTNESS ADJUSTMENT - change the contrast of the display to get a clear LCD read-out in different viewing angles. 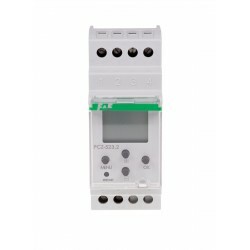 Currently sold is a PCZ-521 clock with index 3 (PCZ-521.3). It is an index denoting the version of the clock software.